You have just purchased your new home. Here are some helpful tips on how to keep your house safe and ensure that it retains its value. If you have any questions, please feel free to call or e-mail us. We are always here to help. No charge. Change the locks on all exterior doors and change the codes for any automatic garage door opener to ensure your security. Check that all windows and doors are working properly and have working locks. You can upgrade any window hardware that may be needed. Security rods should be added to sliding windows and doors. Think about getting a security system if it will make you feel safer. Many of the new systems available are wireless and require no invasive wiring. Install smoke detectors on each level of the home, especially at the top and bottom of stairways and in hallways outside of bedrooms. Install carbon monoxide detectors within 15 feet of all bedrooms. We also recommend the installation of plug-in type, digital display carbon monoxide detectors in all bedrooms of young children. These are the most accurate type of detectors and children are especially susceptible to carbon monoxide poisoning. PLEASE NOTE: The actual detecting device in smoke detectors wears out after 5 to 7 year. This means that the test button will work (this button only tests the battery, not the detector), but the detector will not detect smoke. Smoke (and carbon monoxide) detectors should be replaced every 5 years. Install carbon monoxide detectors within 15 feet of each sleeping room. This is now Illinois State Law. In bedrooms used by small children, or rooms that have ventless modular fireplaces, a digital readout smoke detector (inexpensive wall plug-in units are available) should be installed. Children are especially susceptible to carbon monoxide poisoning and spend a great deal of time in their rooms taking naps. Ventless fireplaces put out a small amount of carbon monoxide and should be operated no more than 2 hours in any 24 hour period, and then only when a window is open. Create an escape plan in the event of a fire in your home and teach it to your children. Verify that there is an operating escape window and door in every sleeping room of the house. Consult with your local fire department regarding fire safety issues and what to do in the event of fire. Examine driveways and walkways for trip hazards. Fix them, where necessary. People tripping or falling on your properly is dangerous and will increase your legal liability. If it is a new house, DO NOT use salt or any type of ice melt product on the concrete walkways and driveway for the first year. Use of these products can cause pitting and cracking of the concrete, which takes about one year to completely cure and settle. Make sure that downspouts do not drain onto walkways and driveways. Excessive water can lead to ice formation and cause slipping. Make sure that your downspouts drain at leas 6 feet away from your house’s foundation. This is probably the most over looked problem and can lead to basement flooding. Take the water away from the house and it will not come back. Fix problems with all stairways, decks, porches and landings where there is a risk of falling or stumbling. Make sure that all handrails are secure and tight and that there is no more than a 3 1/2″ gap between railing balusters. Install rain caps and pest screens on all chimney flues, as necessary. Find and tag the location of the main shut-offs for the plumbing, heating and electrical systems. When you attended the home inspection, these items should have been pointed out to you. Purchase Type 3 fire extinguishers and mount them in the kitchen, basement and in the bedroom hallways. Check that the fire extinguishers are fully charged. Re-charge if necessary. Spend the extra amount and get quality extinguishers. It’s money well spent. Change disposable and cartridge type furnace filters. If you have an electrostatic filter, clean it every month. Make sure to turn off the furnace (use the electrical switch, usually located on the side of the furnace) when the filters are out. NEVER operate the furnace without a filter. Do not use the expensive “HEPA” or special allergy or 90 day disposable furnace filters. They do not work as advertised and will restrict the proper air flow in the HVAC system. For disposable filters, the inexpensive, blue fiberglass filters are the best. Cartridge type filters are expensive and still have to be replaced every 30 days. They also tend to reduce the air flow volume through the furnace and can cause the air conditioning coil to freeze up. It is a good idea to have the cartridge filter casing modified to accept the less expensive disposable filters. Inspect and clean humidifiers and electronic air cleaners. In the summer, the humidifier should be by-passed. There is usually a small lever, with “Winter” and Summer” settings. If the house has circulating hot water heating, bleed the radiator air valves every year. This ensures that there are no water bubbles or cavities in the system. If you are unsure on how to do this, have a licensed and professional HVAC technician (or us) explain it to you. Clear gutters and downspouts or leaves and debris. Ensure that downspouts are properly secured to the side of the house and that the downspouts drain at least 6 feet away from the house. Remove debris from basement window wells. Check the condition of shower and bathtub enclosures. Repair or replace deteriorated grout and caulk. Make sure to seal all tile grout with silicone grout sealer (also on tile floors, which makes cleaning much easier!). Sealing the grout of tile floors will also ensure that dirt does not stain the grout. Check below all plumbing fixtures for leaks. Repair or replace leaking faucets or shower heads. Check and clean faucet aerators, as necessary. If they are older and clogged, they can be inexpensively replaced. Tighten loose toilet and toilet seats, if they are loose, and check the toilet flushing mechanisms in the tank. Inspect the roof for signs of damage to roof covering, flashing and chimney. Check any caulking which my be around the chimney flashing and repair it if it is cracked. Most roof leakage is not from the roof, but from the roof flashings. Look in the attic (if accessible) to ensure that roof vents are not obstructed. Check for evidence of leakage (water staining on the rafters and underside of the roof decking), condensation or vermin activity. Level out and evenly distribute insulation, if needed. Make sure that all bathroom exhaust vent tubing is properly connected to the roof vents. Trim tree branches and bushes to ensure that they are not in contact with the house or roof. Many insurance companies will not cover roof damage if tree branches hang over the house. There should be at least 1 1/2 feet of clearance between bushes and the house’s exterior. This allows the home’s building envelope to properly dry. Check the outside walls and foundation for evidence of damage, cracking or movement. Watch for bird nests or other vermin or insect activity. Make sure that the grade around the house is at least 6″ below the brick / foundation interface and at least 8″ below stucco or siding. If you find small, beige or brownish “tubes” that crumble easily, coming up from the ground, call a professional exterminator immediately. These tubes are made by termites and they are in your house! Check the basement and/or crawl space walls for signs of moisture seepage. If you have a finished basement, check the baseboards for signs of water staining. Seeping or leaking basement foundation cracks can be easily repaired by polyurethane injection. Make your the foundation contractor injects the sealant under pressure and doesn’t just apply sealant paint or epoxy. Make sure that you have a de-humidifier in your basement and operate it throughout the entire summer season. This will keep your basement dry AND help you to reduce air conditioning costs. Control the humidity in your house and you can prevent wood rot and mold from forming. Look at overhead power, phone and cable wires coming to the house. They should be secure and clear of trees or other obstructions and be, at least, 10′ above sidewalks and driveways. Ensure that the slope of the grade of the land around the house takes water to flow away from the foundation. Make sure that downspouts empty at least 6′ (10′ is better) away from the house. Inspect all driveways, sidewalks, decks, porches, and landscape retaining walls for evidence of deterioration, movement or safety hazards. Clean windows and make sure they work properly. Use a silicone lubricant (like WD-40) on window frames to ensure smooth operation. Repair or replace caulking and weather-stripping as necessary. Look for evidence of rot in wood window frames. Paint and repair window sills and frames as necessary. Clean any drain holes (located at the bottom sill of the window) of debris. Test all ground fault circuit interrupter (GFCI) and arc fault circuit interrupter (AFCI) devices, as identified in the inspection report. Shut off anti-freeze valves for hoses in the fall, if below freezing temperatures are anticipated. Test the Temperature and Pressure Relief (TPR) Valve on water heaters. Make sure that the pipe that comes out of the TPR valve goes DOWN, is metal and goes to within 6″ or the floor. Plastic or PVC TPR drain pipes are NOT safe. Make sure that all water heaters above the basement level are installed in drained pans as a guard against a failed water heater flooding out the floors or your downstairs neighbors. Check for evidence of wood destroying insect or rodent activity. Eliminate any wood/soil contact around the perimeter of the home. Test the garage door opener and its safety features to ensure that the auto-reverse mechanism is adjusted properly. Clean and lubricate hinges, rollers and tracks on overhead doors. Replace or clean stove and clothes dryer exhaust filters. Vacuum lint out of the clothes dryer vent piping. Make sure that you use the proper type of dryer vent piping. Plastic or “foil” type piping is not approved for use with clothes dryers and will cause fires. Inspect and clean and/or service all appliances per manufacturer’s recommendations. Make sure to brush or vacuum out the refrigerator cooling coils. Replace smoke detector and carbon monoxide detector batteries twice a year. Completely replace these detectors every 5 years. The detectors deteriorate and they will not work, even though the “test” button says it is OK. The test button ONLY tests the battery, bit the detector. Have the heating, cooling and water heater systems checked, cleaned and regular maintenance service done. Have chimneys inspected and cleaned. Hire a Certified Chimney Sweep and ask for a level I evaluation. Ensure that rain caps and pest screens on top of chimney flues are secure. Check electrical panels, wiring and electrical components for evidence of overheating, rust or physical damage. Ensure that all electrical devices are secure. Flip the breakers on and off to ensure that they are not sticky. If the house has a water well, have the pump and holding tank inspected and serviced. Have the water quality tested. If the house has a septic system, have the tank inspected (and pumped out, if needed). If your home is in an area prone to wood destroying insects (termites, carpenter ants, etc. 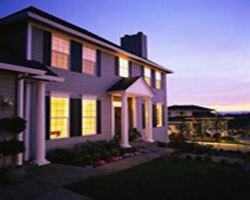 ), have the home inspected by a licensed specialist. Preventative treatments, like perimeter spraying, may be recommended in some cases.